As a promising candidate seed cell type in regenerative medicine, mesenchymal stem cells (MSCs) have attracted considerable attention. 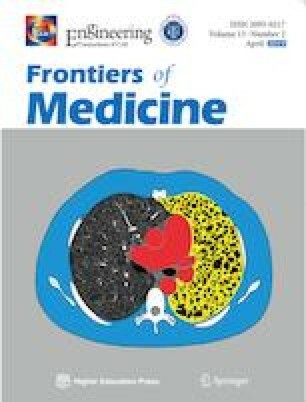 The unique capacity of MSCs to exert a regulatory effect on immunity in an autologous/allergenic manner makes them an attractive therapeutic cell type for immune disorders. In this review, we discussed the current knowledge of and advances in MSCs, including its basic biological properties, i.e., multilineage differentiation, secretome, and immunomodulation. Specifically, on the basis of our previous work, we proposed three new concepts of MSCs, i.e., “subtotipotent stem cell” hypothesis, MSC system, and “Yin and Yang” balance of MSC regulation, which may bring new insights into our understanding of MSCs. Furthermore, we analyzed data from the Clinical Trials database (http://clinicaltrials.gov) on registered clinical trials using MSCs to treat a variety of immune diseases, such as graft-versus-host disease, systemic lupus erythematosus, and multiple sclerosis. In addition, we highlighted MSC clinical trials in China and discussed the challenges and future directions in the field of MSC clinical application. This work was supported by grants from the Key Program for Beijing Municipal Natural Science Foundation (No. 7141006), National Collaborative Innovation Program (for Biotherapy), Beijing Science and Technology Project (No. Z151100001615- 063), National Key Research and Development Program (Nos. 2016YFA0101000 and 2016YFA0101003), and PUMC Youth Fund and the Fundamental Research Funds for the Central Universities (No. 3332013141).